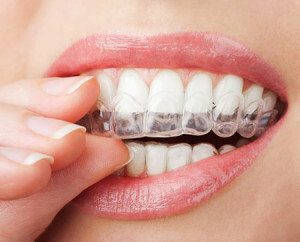 Invisalign helps straighten your teeth and perfect your smile without the nuisance of metal braces in your mouth. It uses invisible and removable plastic aligners that are specially made for your teeth. This is undoubtedly the method preferred by customers to straighten teeth and may be considered a form of cosmetic dentistry as it adds to the overall look. However, there are certain things that one needs to consider before getting Invisalign. This technology is among the technologies that have revolutionized the healthcare industry, and there is no reason why you should know more about this. This article will discuss 5 of those things. You’ll have to watch out what you are drinking. These aligners are made up of plastic. This means that having too much coffee or anything too hot while wearing them is likely to melt or twist them, distorting their shape and fit. Also, beverages that are of dark color like wine, coffee, and tea are likely to stain your aligners. This might be embarrassing for you if you are in public, so orthodontists recommend that you have these drinks less frequently and quench your thirst with cold water. You might experience a little lisping. When you first get Invisalign, it can cause speech problems. You may not be able to form clear sentences during the first few days. Over time, though, you get accustomed to it and are able to speak much better and clearly with unnoticeable lisping. You have to wear it at least for 22 hours. Yes, it’s removable and that’s what makes it attractive to people. However, this doesn’t mean that you can remove the aligners whenever you feel like. People commonly are under the misconception that they can take them out when leaving for a party or when feeling discomfort. That’s not the case. The longer you wear them, the better the chance of successful treatment. Say no to lipstick…and, well, kissing too. Applying lipstick is a big no with Invisalign. This is because the color sticks to the aligners and stains them. You wouldn’t want to go to a party with lipstick stains all over your aligners, would you? You can, however, apply colorless lip gloss if you don’t mind its sticky residue on the aligners. If not, then go natural. It’s not a bad look. Kissing tends to get awkward too. Due to the plastic stuck in your mouth, no matter how invisible, it tends to get in the middle of kissing, which is a huge turnoff. By regular, I mean 24-hour-cleaning. Well, that maybe a little bit of exaggeration, but maintenance of your aligners means brushing your teeth around 6 times a day. If you are not ready to have a bad breath or for your teeth to have cavities, you had better brush and floss your mouth after each meal. Ask your orthodontist to prescribe you with cleaning solutions for your aligners. Despite these small issues that you need to consider before getting Invisalign, these aligners are the most efficient and least intrusive method of fixing and straightening your teeth. Don’t discount their benefits and get in touch with a professional Puyallup dentist today for more information on the procedure. Invisalign vs Braces, Which is Better for Me? See reviews from our happy patients or please leave us a review at one of the sites below.